Full text search is a feature of SQL that makes searching for products on the site more flexible and responsive. With the standard search features, if a customer looks for "Green shirt", only products that have exactly that phrase in that order will be returned. With full text search, the same query would return all products that contain the word "green" and all products that contain the word "shirt", along with those containing the full phrase. Should I use Full Text Search? Not all sites are going to want to use this feature. It can be resource intensive in terms of processing power and memory usage during live operation, as well as using a good deal of hard drive space over time. Because of this, enabling this feature on a server that does not have sufficient resources can result in very slow searches. Also, many sites simply will not need this feature. If your product lines are simple or small, full text indexing is not going to significantly improve your search feature. Check with your host or server administrator to determine whether or not this feature would be worthwhile in your case. NOTE: Check with your hosting provider to find out if your hosting plan supports full text search indexing. 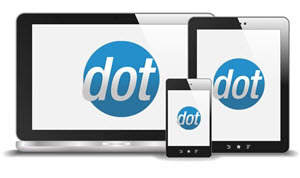 AspDotNetStorefront Shared & Cloud hosting plans are full text search capable. Please Select Language Choose from the available languages to determine which 'Noise Words' will be added to the index by default. See below for information on noise words. Create New/Reuse Catalog This radio button determines whether SQL will create a new full text index, or reuse an existing one (from a previous site, for example). If previous catalogs exist, they will be listed below so the desired one can be chosen. 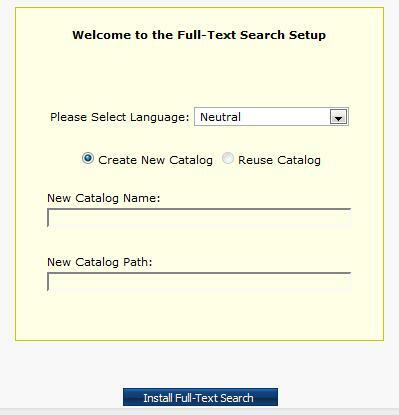 New Catalog Name The name to give to the new full text index SQL will create. New Catalog Path If your server admin wants the index files in a specific location, that path can be listed here. Otherwise, the files will be created in SQL's default location (...Program Files\Microsoft SQL Server\MSSQL.1\MSSQL\FTData). Each word can be edited or deleted with the buttons shown below. 1 - Verify that the DB table dbo.NoiseWords was created. 2 - Check that the functions dbo.GetValidSearchString and dbo.KeywordSearch were created in the DB. 3 - Check if the specified FT catalog that was defined in the set up was created in the specified directory. If the installation directory was left blank, check ...\Program Files\Microsoft SQL Server\MSSQL.1\MSSQL\FTData folder. 4 - Check if the stored procedures aspdnsf_GetProducts and aspdnsf_GetProductsOriginal were created. 5 - Perform a search with a wild/universal character (*) such as “ki*” which should return results such as “Kit”, “King” and “Kitty”. 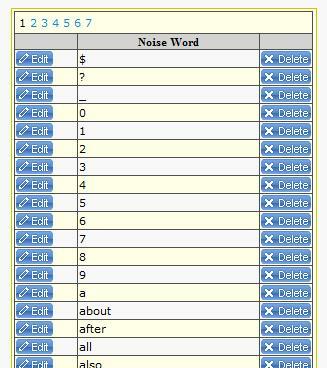 6 - Access the Noise Words page and confirm if the list of common words is complete. Add, edit and/or delete as necessary. NOTE: This TroubleShooting section pertains ONLY to SQL 2005. If it is not installed, rerun the SQL installer and be sure "Full-Text Search" option is selected under the "Database Engine Services".